South Korean Pop Star, Rain, Starts Military Service : The Two-Way Like all able-bodied South Korean men, he's required to serve in the nation's military. "I'm sorry to make such a fuss while leaving," Rain told a large crowd. "I'll be back from my duties soon." Even this blogger isn't old enough (just barely, though) to have been around when Elvis Presley went into the Army in March, 1958. But it's well known that was a huge deal. 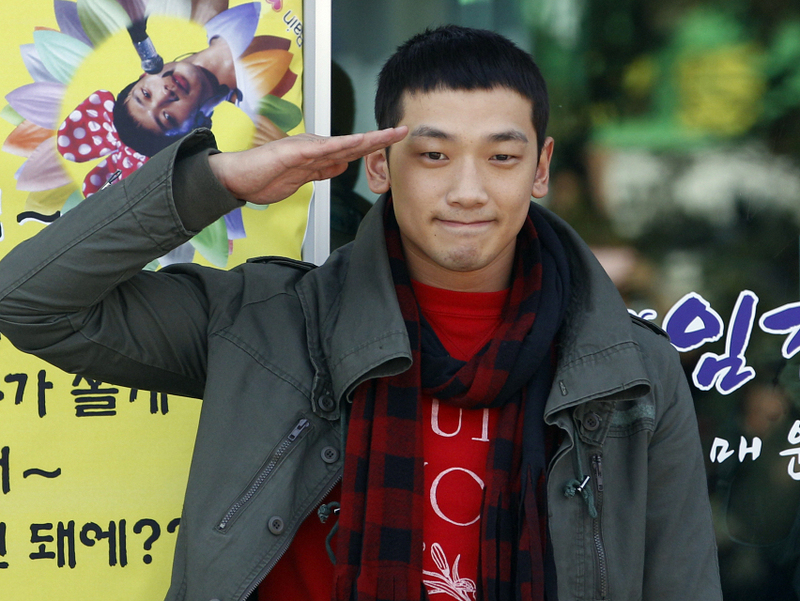 South Korean pop star Rain today reported for his mandatory 21-month tour of duty with his nation's army. The Korea Times says the 29-year-old singer and actor "smiled throughout [a] farewell event thanking his fans for the love they have given him over the past 10 years. More than 1,000 people crowded near the base [in Gyeonggi Province] to see Rain on his last day as a civilian, waiting for two and a half hours for him to appear." "Thank you for coming," said Rain (real name: Jung Ji-hoon). "I'm sorry to make such a fuss while leaving. I'll be back from my duties soon." How big is Rain? Not only does he sell millions of songs, fill concert halls and have a budding film career, he keeps winning the reader poll in the Time 100. And he has a high-profile "enemy" — Comedy Central's Stephen Colbert (our apologies for Stephen's one slightly risque word).